Yoga psychology is both a positive and a normative science. As such it not only analyzes human personality and its growth, but sets normative ideals and prescribes techniques to achieve such objectives. Expansion of consciousness and making oneself the master of one’s mind are the broad objectives of yoga psychology. The topographical aspect of mind as described by Freud, towards the end of the 19th century, in terms of conscious, subconscious and unconscious levels, was well-conceived in yogic literature thousands of years ago. It also emphasized that the vast area of our mind was unknown and dormant, which was called the level of nidra or sushupti (deep sleep). Going a step ahead, yoga accepts the fourth level – turiya, i.e., transcended consciousness or the superconscious mind. When the mind reaches such a height of sadhana, cognitions do not remain dependent upon the senses, the individuality is transcended, and the mind acquires equanimity. This is called awakening of the superconscious mind. The psychodynamic aspect of the mind has been described in terms of the id, ego and the superego. Psychoanalysis emphasizes that in order to live a normal life, an optimum strength of ego is a must to counterbalance the forces of the id, ego and superego. It underlines that too strong an id makes a person impulsive and sociopathic, and that too strong a superego makes him mentally ill. But what happens when the ego becomes very strong and dominant? According to yoga psychology, in such a condition the individual becomes egoistic and develops ahamkara (pride) which is the root cause of all psychosomatic problems. This brings to the forefront the concept of the evolution of the mind as conceived in yoga psychology. Consciousness has a wider connotation in yoga. It may be sensorial, intellectual or psychic. Sensorial consciousness is based on sense experiences, whereas the intellectual consciousness is based on cues and their interpretation through the intellect. On the other hand, the psychic consciousness refers to the extrasensorial awareness and parapsychological experiences. Yoga presents vivid and sound meditation procedures for the attainment of this psychic consciousness or superconscious mind through the awakening of kundalini. The awakening of kundalini takes place through gradual activation of the seven chakras (psychic centres). They are mooladhara, swadhisthana, manipura, anahata, vishuddhi, ajna and sahasrara. The literature prescribes the conditions, precautions and methods of sadhana for stimulating the chakras and awakening the kundalini. Awakening of the dormant 90% of the mind and union of the kundalini shakti awakened in mooladhara with the pure consciousness of sahasrara is called self-realization. This evolution of mind through yogic sadhana is a gradual process. It brings balance and harmony in the personality and makes life blissful. It is only recently that there has been a global interest in the quality of human life and psychological well-being. Psychological well-being has been conceived of by the psychologists in terms of happiness and satisfaction or gratification subjectively experienced by the individuals (Okun & Stock, 1987). This affective reaction of satisfaction need not be positively related to the objective conditions of life. One may be dissatisfied with life inspite of having plenty of material and family richness (Lawton, 1983). The psychological or subjective well-being is more a question of our own attitude and approach to life situations and events. Freedman (1978) has shown that cognitive processes such as aspiration, social comparison and adaptation level have much to do with it. Long ago yoga psychology emphasized the role of positive cognition, thinking and approach for achieving pleasure and satisfaction in life. Yogic practices reduce negative thinking and negative emotion. Bhakti yoga and Ishwarapranidhana of raja yoga provide the useful techniques of dedication to God and offering prayers with a feeling to help build positive attitudes and self-confidence. The practices of shiva bhavana and maitri bhavana as described in Yoga Vashishtha are good techniques for combatting stress, anxiety, apprehension and hostility. Their psychotherapeutic significance has been established by a number of studies conducted earlier in Kashi Manovigyanshala at Varanasi. The SWAN model presented by Paramahamsa Niranjanananda is a good cognitive technique of self-appraisal. The four letters of SWAN refer to the Strengths, Weaknesses, Ambitions and Needs of individuals. They provide objective criteria of self-appraisal and parameters to evaluate progress in self-awareness and satisfaction. (v) Smriti – memory or recollection of past cognitions. These vrittis, when related to narrow worldly gains and losses, become sources of affliction or pain and are called klista vrittis. But they can be transformed into aklista vrittis by making them positively and spiritually oriented. Patanjali has mentioned two broad methods of controlling the vrittis. They are (i) abhyasa (practice) of meditation and other yogic practices and (ii) vairagya (detachment). The cognitive mental modifications of klista nature lead to pain and misery. Yoga psychology has enumerated five such basic distresses known as pancha kleshas. They are (i) avidya (ignorance or nescience), (ii) asmita (egoism), (iii) raga (attachment), (iv) dwesha (hatred) and (v) abhinivesha (fear of death). Patanjali has given an elaborate description of these kleshas and has underlined that avidya or false notion lies at the root of all other distresses. Avidya does not mean absence of knowledge, rather it means looking for wrong actions and ideas, which ultimately gives pain. These kleshas give rise to various psychological and psychosomatic problems. Yoga psychology explains them and their management on the basis of the attachment-detachment model of mental health. Asakti (attachment) and vairagya (detachment) are the two extreme points on the same scale of a continuum with anasakti (non-attachment) being in between the two. Asakti means attachment with worldly affairs and things. Literally, it means narrowing the area of consciousness. This leads to raga, dwesha and ahamkara which manifest as insecurity, possessiveness, aggression, anxiety, depression and other mental and psychosomatic problems. Vairagya is the height of the nivritti way of life which is too difficult to be achieved by normal householders. It is the ideal mode of life set by the saints and rishis. Yoga psychology prescribes anasakti as the middle path to enjoy lasting happiness and peace without being involved and disturbed by asakti. An elaborate description of the asakti-anasakti model of mental health has been presented by Bhushan (1994). As regards methods of study, looking within is the primary method of understanding yogic experiences. This is different from the ordinary method of introspection used in psychology. Visualization, awareness and witnessing the images in a neutral manner with drashta bhava are the keys of yogic meditation and sadhana. The principle of homeostasis or balance is central in yoga psychology. It holds that any sort of imbalance in the physical, psychological or pranic system creates problems and disorders and the cure lies in rebalancing it. Another scientifically sound concept is acceptance of individual differences. Yoga psychology presents a clear description of different types of human personality and prescribes different yogic practices for them. The most important one is based on the three gunas of sattwa, rajas and tamas. These gunas are largely acquired and so through them a desired transformation in attitude and personality is possible by yogic practices. The relevance of an academic discipline lies in its utility and application in finding solutions to the problems facing the individual and society. From this viewpoint, yoga psychology has special significance. Some of the issues and areas in which it has important applications are mentioned below. Yoga believes in total health. But it does hold that health has three integrated aspects, i.e., physical, psychological and spiritual. We cannot think of good health by taking care of one aspect and ignoring the other ones. The fact is that if we ignore the mental or the spiritual aspects, physically also we cannot remain healthy. Each aspect of health influences the other. Total good health means physical fitness, mental ability and spiritual verve. Yoga stands for both physical and mental well-being and higher spiritual attainments. Thus it presents a wider spectrum than the modern viewpoint of psychosomatics. 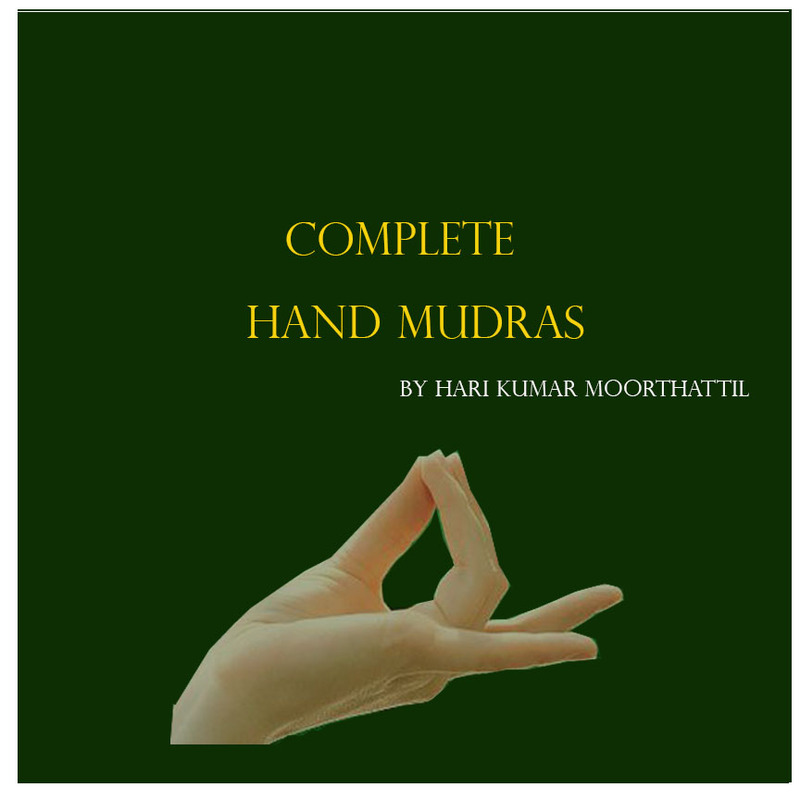 Good illustrative books are now available which discuss in detail the possible effects of yogic asanas, pranayamas, pratyahara and meditation techniques on the body, mind and expansion of consciousness (e.g. Swami Niranjanananda Saraswati, 1993; Swami Satyananda Saraswati, 1996; Motoyama, 1979). Tracing the link between yoga and oriental medicine has concluded that yoga is based on the holistic knowledge of different aspects of a person’s being. A good number of studies have established the beneficial effects of meditation and other yogic practices in managing anxiety (Jangid et al, 1988; Sharma & Agnihotri, 1982), depression and other types of neurotic disorders (Jaug, 1975; Nagarathna & Nagendra, 1980). They have been found equally useful in treating stress-related psychosomatic disorders like diabetes (Divekar, 1982), tension headache (Sethi et al, 1981), hypertension and schemic heart (Swami Karmananda Saraswati, 1982; Ornish, 1990). Studies have been conducted to examine the effects of yogic practices on neural functioning, including the ANS and brain waves (Ramamurthi, 1977; Varma, 1979). However, more well-designed experimental research is needed to examine the physiological basis of the different yogic techniques. Similarly, the psychotherapeutic use and rationale for the effects of specific asanas, pranayamas and meditation techniques, like antar mouna, ajapa japa, chidakash dharana, etc. needs to be confirmed through planned experimental studies. There is also the need to review and integrate the findings of research conducted at a large number of centres in different places. According to yogic theory, diseases develop because of imbalance in the psychosomatic and pranic systems. The yogic practices restore the balance and remove the toxins from the nadis and the body systems. The same practices help build a defence against disease and promote healthy living. The practice of hatha yoga has special cleansing and balancing effects on body and mind. Everyone wants to be happy and to enjoy life, but because of our faulty approach and negative feelings we often carry fear, apprehension and suffer agony in life. Verma (1988) has proposed a dual factor theory of mental health according to which the factors or conditions contributing to positive and negative mental health are different. As such, the absence of certain factors contributing to negative set and health does not lead to positive mental health. Yogic practices help develop psychological well-being by providing the insight to perceive positive aspects in individuals and events, thereby developing positive affect, pleasure and satisfaction. Understanding and practising the principles of karma yoga reduces the magnitude of expectation and consequential frustration. A study conducted recently under the guidance of Swami Niranjanananda Saraswati (1996) by the extension wing of Bihar Yoga Bharati, Munger, on a total of 1140 prisoners of 24 jails in Bihar is worth mentioning here. Yoga training was provided to the convicts in three spells, each of 15 days duration. Pre and post comparison of data indicated that the prisoners who participated in all three programs reported as physically fitter and mentally happier. There was a substantial reduction in their negative emotions such as anger, anxiety and depression, as well as in interpersonal conflicts. Better sleep and mental peace were also reported. Ninety-six prisoners who were addicted to tobacco and smoking bidis took a sankalpa (resolve) to give up the habit, and surrendered their tobacco, bidis, etc. to the yoga teacher. To what extent the psychological and behavioural modifications are sustained is the subject of a follow up study which the Institute is carrying out. Encouraged by the results of the yoga training, the Government of Bihar has taken a policy decision to introduce yoga training in all the 82 jails of Bihar on a regular basis. With this objective, 136 life convicts, selected on the basis of their yogic skills and aptitude, have been given Yoga Teachers Training Courses by qualified sannyasins of Bihar School of Yoga, so that they may now act as yoga teachers to provide yoga training in the jails on a regular basis. Most of our problems in life are on account of cortical excitations, and the flickering and fluctuating nature of the mind. Selected yogic practices enhance the mental alertness, creative ability and learning capacity of individuals (Swami Muktananda Saraswati, 1982). This has received support from the recent findings of a research report undertaken on young scientists by Shelvamurthy (1996). The results indicate that, compared to the control group, the experimental group of young scientists who were given yoga practices performed better in concentration, memory, cognitive management of situations, stress management, coping with hot and cold conditions, etc. Such findings provide a basis for the introduction of yogic practices in different training programs. The initiative taken by the Central Government and many State Governments to introduce yogic training for school students is in the right direction. Promoting a congenial organizational climate and work proficiency. Recent experience of introducing yogic practices in management programs shows that it may serve as a good relief in reducing organizational stress and in promoting a congenial work climate. The practice of yoga nidra, certain selected asanas, pranayamas and meditations are useful to relax and quieten the mind (Bhole, 1981; Datey, 1978; Singh et al, 1978). They can be conveniently introduced in an organizational setup to promote alertness, congenial feelings, job satisfaction and work proficiency. Certain studies like that of Kaul (1993) have shown that selected yogic practices are beneficial in managing drug addiction and alcoholism. Similarly, violence, group conflicts and prejudices prevail in society mostly on account of ego problems and emotional instability. As stated earlier, since the yogic practices are capable of reducing aggression and negative feelings, and are helpful in quietening the mind, they serve as important tools to combat many problems. The experience of conducting yoga programs in jails (referred to above) provides convincing data on positive transformations in feelings, attitudes and expectations of the convicts in the jails and improvement in their interpersonal relationships. The principles of yoga psychology can, therefore, be used as corrective measures for promoting desirable social behaviour and minimizing many social problems based on distrust and hatred. The yogic literature says that a predominance of tamas, which often creates social problems, is minimized and transformed into rajas or sattwa dominance by yogic practices. This theoretical assertion needs more experimental verification and proper application. Yoga is not only a curative and preventive measure for diseases and social maladies, but also a promotive science of the human personality. The practice of meditational techniques brings a qualitative change in human personality and they are capable of taking the self to a higher level. Expansion of consciousness, development of extrasensorial capabilities and samabhava, coupled with feelings of non-attachment are some of the characteristic features of a realized person. The self at this level of psychic development is called ‘sarveshwar’. This is a blissful life in which individuality is transcended and the mind acquires complete equanimity. In short, yoga psychology has important applications in managing psychological, psychosomatic and social problems as well as in promoting and transcending the self. It provides theoretical models and practical tools and techniques for their verification. However, many of the observational and theoretical assertions need experimental verification and re-interpretation in a changed context. Selection of yogic techniques for different purposes and individuals is a difficult task. It demands a long-term, detailed plan by devoted individuals and institutions. The cooperation of all those psychologists having an interest in the area is solicited.